There are thousands of places to visit around the world. As a couple, you are going to want to go to the ones that are romantic. Instead of those that scream children are here! If you are planning your next romantic getaway, you will want to steer clear of Disney or some of the family-friendly beaches. Focus your sights on a destination that offers fewer distractions. Though I have to admit, we did vacation in Disney solo and it was romantic. Though there were kids everywhere and it made us miss our girls. So, if you want to plan an incredibly romantic getaway with your partner, you have to think more about the experience. I usually grab a glass of wine, grab my laptop and get cozy and bed. Then I start exploring all the destinations that are romantic for couples. Once I find our next destination I grab my phone and hop on Sello to start shopping for everything that I’m going to need for the trip. New shoes, outfits, accessories. Plus, I can even sell things to make more money for our travels. Win-win! Read on for the 10 best places to travel for romance. 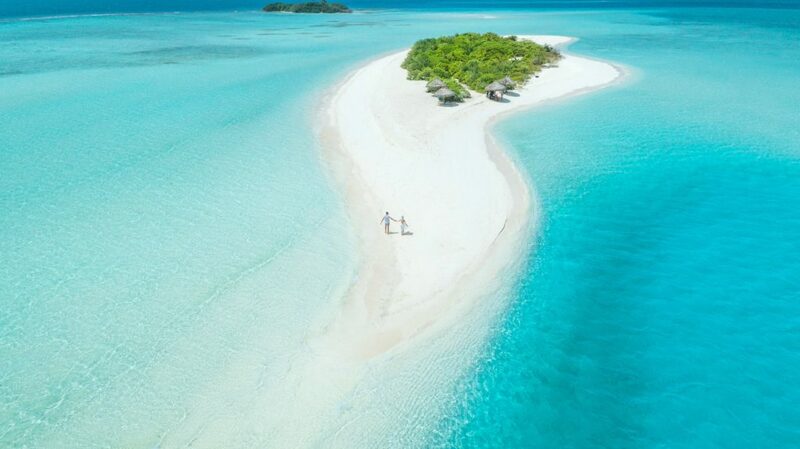 The Maldives are secluded islands that can be found in the Indian Ocean. While you may find a child or two roaming around, the romance will be in full swing there. The weather is always beautiful and you can stay in bungalows that sit out over the blue water. This seaside destination is full of picturesque views. You will want to explore it all when you are there. You will want to begin in the gardens of Ravello before heading to Capri by boat. The romance doesn’t get any hotter than it will on this Hawaiian island. You can lounge on secluded beaches, spend time in a luxury villa, or hike along the Na Pali Coast. This island has everything from rainforests and mountains to cliffs that overlook spectacular beaches. Savannah is quite the charming city and it is the perfect weekend escape for many couples. You can begin by walking along the riverfront and walking in and out of the stores that can be found there. The moss-covered canopies of the homes in the city will pique your interest. Nothing will be better than the time you spend with your significant other on Tybee Island. You cannot think about a romantic getaway and not consider Paris. This is the city of love after all. You will love walking around hand in hand as you see all the sights. Go to the Louvre, spend time walking along the Seine River, or dine at the restaurant inside the Eiffel Tower. You will have a fantastic time with the love of your life. The famous canals of Venice are the perfect place for you to share your love as you float along the water in a gondola. For a different view of the city, you can walk along the cobblestone alleys or lean over the bridges to look at the water below. If you love the sun in your face and the wind in your hair, it might be time to take a romantic vacation in Big Sur. Highway One goes from Carmel to San Simeon, and those ninety miles are perfect for a car ride with the top down. You will see mountains to one side and the water to the other, and you will need to stop multiple times to snap photos. If you happen to reach the waterfall within Pfeiffer Burns State Park in time for lunch, it is the perfect place for a picnic. This capital city of British Columbia is full of old-fashioned romance. The views from Mount Tolmie Park are phenomenal, but nothing will top your evening dinner cruise on board the Fantasea. Imagine spending three hours traveling through Inner Harbour towards Gorge Waterway and Oak Bay as you enjoy a three-course meal along with the views. You can spend your days doing nothing. Or you can spend them in the water swimming and snorkeling when you travel to Bora Bora for your romantic vacation. You can stay in one of the bungalows that sit over the water of the lagoons, and since they offer the ultimate in privacy, you will never need to worry about an ill-timed interruption. Long romantic walks, long talks by the fire and drinks in a local pub can all be included in your vacation here at The Lake District. There are numerous country inns for you to choose from for your accommodations and you will find that you might have a difficult time picking the one that you love the most. These ten romantic destinations will ensure that you have a fabulous vacation while having the alone time that you deserve. Romance is in the air everywhere in these areas. You may even find that people will go out of their way to give you space and tranquility that you desire. 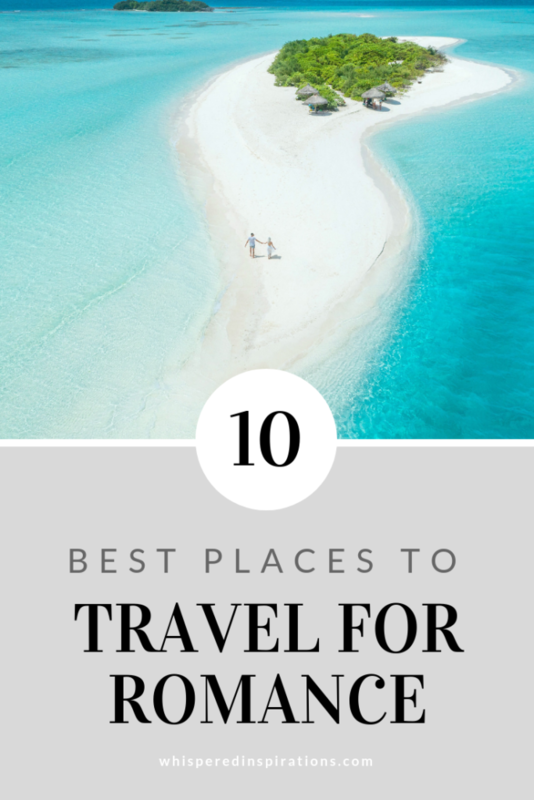 I think I covered the best places to travel for romance. Did I miss any romantic destinations? This was a lovely article to read on such a winter day. oh my gosh Bora Bora! seriously hubby and i are due for a romantic getaway. we havent been on one other then BC and niagara on the lake. OMG, it is time to get away girl. I have to say Kauai, Hawaii sure sounds interesting! We have had such bad weather since Fall came in I sure could use a nice vacation! Oh no, luckily, we have been okay. Hope you can get away soon.